Get em for just $45. 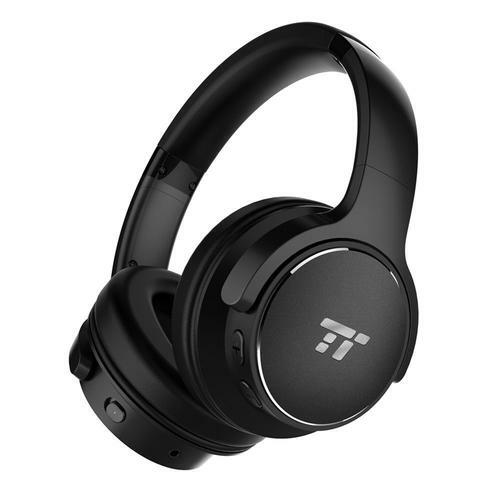 Today, TaoTronics Active Noise Cancelling Bluetooth HeadphonesRemove non-product link are on sale for $45 with the code 4TVHMY2G, down from a list price of $70. Noise-cancelling headphones help you escape the clamor of daily urban life. While most people use them to jam tunes without background distraction, many slip them on or just get some downtime. These over-the-ear headphones are built to block out outside noise with ANC (active noise cancelling) technology. They're also built for comfort, with soft, adjustable ear pads that swivel up to 90 degrees. Battery life of up to 30 hours on a single charge means you won’t have to worry about running out of juice mid-trip. Two large-aperture drivers deliver solid bass, and a built-in mic lets you use it for phone calls, and an airplane adapter means you can enjoy distraction-free audio on even the longest flights. We haven’t tried these headphones ourselves, but with 4.4 stars out of 5 over nearly 300 user ratings, they’re worth a try, especially at this discounted price. Not sure if over-the-ear headphones are right for you? Check out our buyers’ guide.